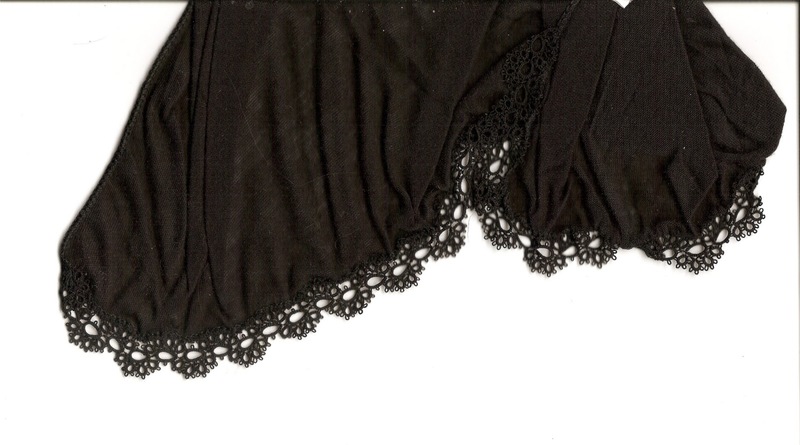 This is a tatted edging for a scarf for my daughter. It should have been ready for Christmas...it wasn't! I mostly tatted this on Thursdays at work, when we sit and listen to the patients telling their story, "Jeudi=je dis" hmm, anyway it happens just after lunch, and I suffer from the terrible desire to fall asleep, so I take my shuttle in my pocket, and discretely get on with this. It has to be simple as I can't look down too often, so dear old Curds and Whey from Mary Konior has been just right. This blackwork kit is totally not my style, I found it in a charity shop when I was in the UK in November, and felt sorry for it. Someone had begun it with two repeats, and then given up, and repackaged it without the original thread, and leaving the needle rusting in the fabric. 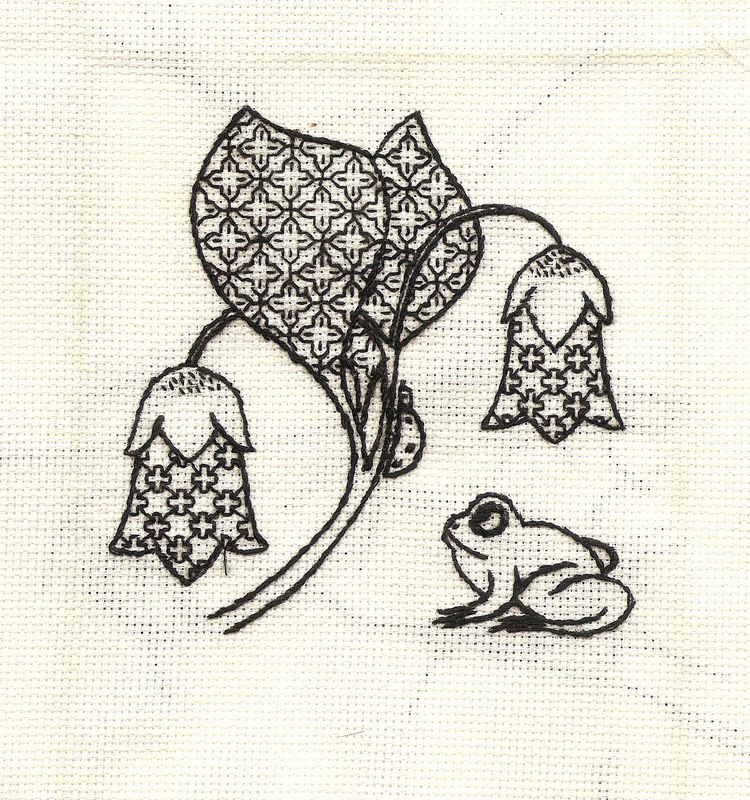 As you can tell, my blackwork is not reversible! It is quite soothing to stitch, especially on Aïda fabric. Here we have some bayeux embroidery, a kit purchased last summer when I went to see the original Tapisserie. It is the figurehead of a Norman ship. I enjoyed this wool on linen embroidery...I might have a go at another one some time, especially as the International Lace Conference will be at Caen this year, and I am really keen to go. Very pretty edging, Snowy, and in black - so hard on the eyes! Really "je dis"? Wow. I'm a Latin teacher and always thought it was from dies Iovis (Jupiter's day). I'm teaching the Bayeux tapestry next week. The kids love it because being later Latin, it's easier. What fun! Love the embroidery!!! And the edging! The black edging is gorgeous! I've long admired blackwork and redwork, but I've never really had the desire to try either one. I think I'll just admire yours! AH- well that's great. I love puns. I was just worried I'd been teaching kids this for 25+ years WRONG! I still think I've got to get some Bayeux embroidery.